In its proposed replacement definition of Waters of the United States (WOTUS), the EPA emphasized that one of its goals was to “strike a balance between Federal and State waters and carry out Congress’ overall objective [in the Clean Water Act (CWA)] to restore and maintain the integrity of the nation’s waters in a manner that preserves the traditional sovereignty of States over their own land and water resources.” In essence, the Agency was telling the states that if they did not agree with the proposed WOTUS definition, they could issue their own laws and regulations to protect waters that the proposed definition excluded from federal jurisdiction. And that’s precisely what California is doing with its draft State Wetland Definition and Procedures for Discharges of Dredged or Fill Material to Waters of the State (Procedures). “The wetland definition encompasses the full range of wetland types commonly recognized in California, including some features not protected under federal law and reflects current scientific understanding of the formation and functioning of wetlands,” the California Water Resources Board (State Water Board) writes in the draft. The State Water Board notes that since the beginning of European settlement, California has lost 90 percent of its wetlands, “a higher rate of loss than any other state.” A large portion of the loss has occurred in the Central Valley, where land was converted to agricultural use. The Central Valley, which originally contained over 4 million acres of wetlands, today has just over 205,000 acres of wetlands, and two-thirds of that are under private ownership. The draft Procedures note that there is a need to strengthen protection for waters of the state due to several U.S. Supreme Court decisions. Also, the State Water Boards (the State Water Board and nine regional water boards) have historically relied on federal CWA protections in dredge or fill discharge permitting practices. There has also been inconsistency across the State Water Boards in requirements for discharges of dredged or fill material into waters of the state, including wetlands. In arid portions of the state, the proposed definition would protect nonvegetated wetlands (mudflats, playas, etc.) that otherwise would not be covered under federal jurisdiction. 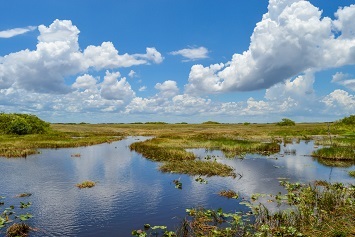 In addition to the proposed definition, the Procedures would establish wetland delineation procedures and a jurisdictional framework applicable to all State Water Board programs. Furthermore, the Procedures would clarify requirements for submittal and review of applications to discharge dredged or fill material to any water of the state. According to the State Water Board, the Procedures are based in large part on the scientific documentation and conclusions supporting the existing U.S. Army Corps of Engineers’ (Corps) definition of a wetland. As with the federal WOTUS definition the EPA is seeking to replace, California’s definition would most impact the agricultural sector. The Procedures prompted a quick response from the California Farm Bureau Federation. The state’s “overbroad” procedures would set new regulatory requirements that would affect farming activities across the state—from agricultural drainage projects to smaller projects on the field necessary for operation and crop production, commented Kari Fisher, the Federation’s senior counsel. Fisher was also concerned that the proposed definition differs from the definition used by the Corps since 1977. “This would result in features being classified as a wetland by the water board but as a non-wetland waters by the Corps, leading to conflicting alternatives-analysis determinations and mitigation requirements,” she added.